Our gear and food is unloaded in minutes. 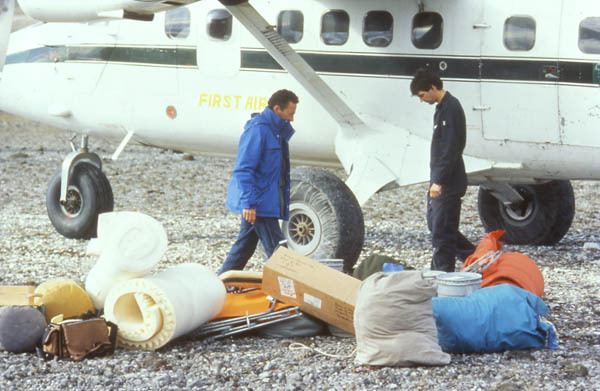 The pilot senses that he is dealing with two greenhorns and makes sure that our tents are erected near fresh water and that our radio is operational. One of us has to be at the radio each day at 7:00 am and 7:00 pm to respond to a signal from the base camp at Resolute.